The war still continues for wounded warriors. Segs4Vets will help 39 severely injured veterans improve their mobility and regain their independence by awarding each with a Segway PT battery electric vehicle on April 4, 2012. 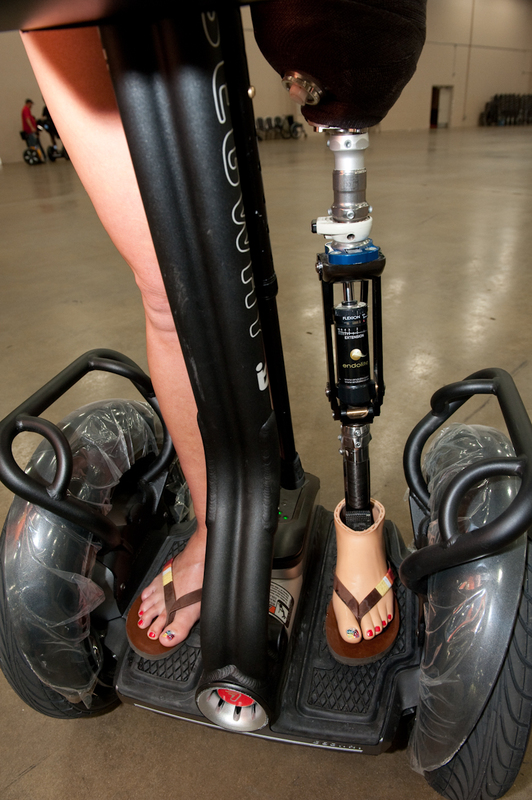 The Segway helps severely injured service members improve their mobility and regain their independence. The number of military service members who lost limbs in combat in Afghanistan reached an all-time high last year. On Wednesday, April 4th at 10:30 a.m. in a ceremony on the forward deck of the historic USS Midway, 39 wounded warriors, including 24 who lost legs in IED blasts, will each receive a Segway® PT (Personal Transporter) from Segs4Vets. The two-wheeled, self-balancing battery electric vehicle along with a Segvator®, an elevator for transport, will help them improve their mobility and regain their independence. The public is invited to attend the ceremony. The USS Midway museum fee will be waived for those attending the presentation ceremony. Segs4Vets, recipient of the Spirit of Hope Award from the Office of the Secretary of Defense, will award the personal Segways to injured service members during its fifth and largest presentation in San Diego. Founded in 2005, Segs4Vets is dedicated to helping severely injured service members return to a life of independence and productivity when they come back from Iraq and Afghanistan. Congressional Medal of Honor Recipient Colonel H.C. “Barney” Barnum, USMC (Retired) and General Hal Hornburg, USAF (Retired), Segs4Vets Board members, will participate in the presentation. The recipients include 22 Marines, 14 Soldiers, two Navy Hospital Corpsmen, and a National Guardsman. Nearly all of them were injured in improvised explosive device (IED) explosions in Iraq and Afghanistan. Of the 24 amputees, five lost both legs and one recipient lost both legs and a hand. The others sustained extreme orthopedic, soft tissue and spinal cord damage which hinders their ability to walk. The recipients come from California, Mississippi, Michigan, Florida, Wyoming, Minnesota, Idaho, Illinois, Arizona, Texas, Oregon, Rhode Island, Georgia, Hawaii, Kansas, Colorado, Arkansas, Virginia and Washington State. Many are still undergoing treatment and rehabilitation at the Naval Medical Center, San Diego. The Segway, a two-wheeled, self-balancing battery electric vehicle, has found an avid following among the disabled because its universal design allows almost anyone to use it without drawing attention to their disability. The impact of the Segs4Vets program resonates well beyond the recipients; it extends to the veterans’ family members whose lives have also been turned upside down. For many, the Segway has brought about dramatic improvement in family dynamics. Previous recipients have gone on to use their Segways to attend college, remain on active duty, work in private sector jobs, and engage in recreational activities with their families. 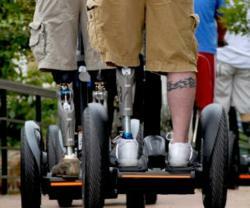 Most Segway recipients were victims of IED blasts, the signature weapon of this war. More than 40,000 men and women in uniform have been wounded in Iraq and Afghanistan since the beginning of hostilities. Increased foot patrols in the rugged terrain of Afghanistan have been blamed for the record high number of amputations – 240 according to the Department of Defense in 2011. This exceeded the 205 in 2007 at the height of the surge in Iraq. Improvements in combat medicine mean that more of these severely injured service members are surviving. The Segway is not covered by military medical insurance. For more information, visit http://www.Segs4Vets.org. 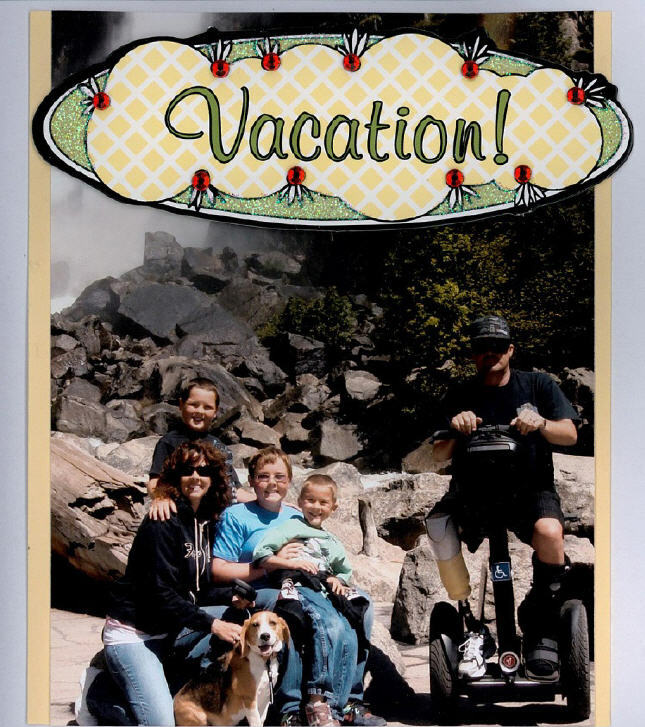 Segs4Vets, created in late 2005, is run by volunteers as part of Disability Rights Advocates for Technology (DRAFT), a 501c3 created to represent people with disabilities who refuse to be defined by their disability and whose passionate enthusiasm for participation in life’s activities is supported by Universal Design and new and emerging technologies. Segs4Vets has awarded more than 850 Segway PTs since its founding and plans to award 2,500 over the next five years. The organization is a member of Military, Veterans & Patriotic Service Organizations of America and has been certified as one of the best charities in America by the Independent Charities Seal of Excellence, an honor accorded fewer than 2,000 of the more than one million public charities in the United States. For more information, visit http://www.segs4vets.org.